Pine Hill Resort has four clean, comfortable, smokefree housekeeping cottages located on Oxbow Lake. They are completely furnished and feature modern conveniences including LCD TVs with up to date digital programming, VCRs, and DVD players. The kitchens are equipped with dishes, flatware, pots, pans, toasters, coffee-makers, and microwave ovens. Each cabin comes equipped with its own boat (motors available for rent), charcoal grill and picnic table for your outdoor pleasure. 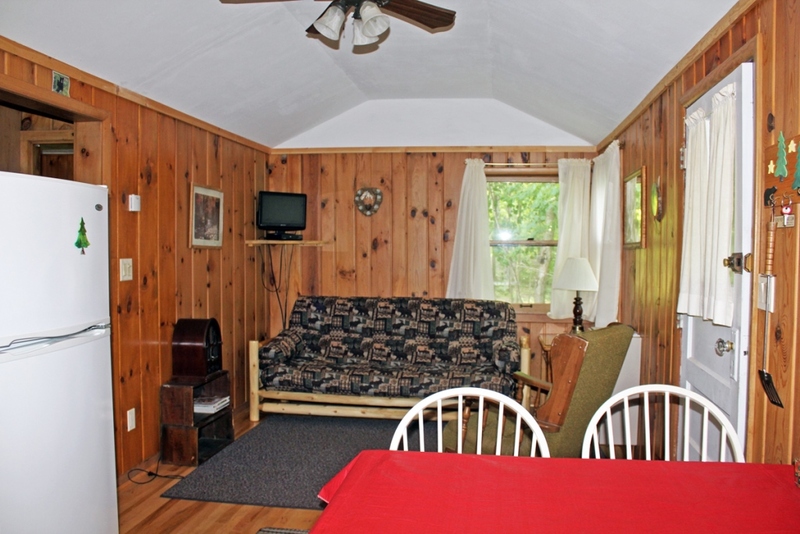 Each cottage sits close to the water, giving guests wonderful lake and sunset views. Visit us on Facebook | Copyright © 2017 Pine Hill Resort. All Rights Reserved.